"I Help Families on a Budget Train Their Dogs Without Breaking the Bank." 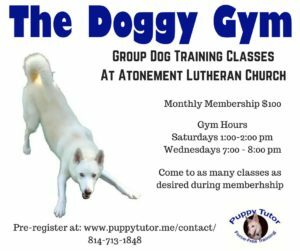 The Puppy Tutor Community is for those who are or have been students of Puppy Tutor Dog Training. It is a free community for current students. 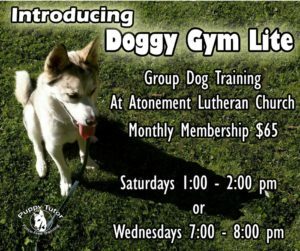 Once out of classes, students have the option to continue with a paid membership. 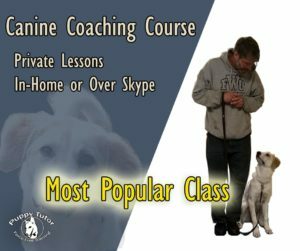 It's a place to ask dog-training questions, share updates on how your dogs are doing, and pick up information from training articles and videos. Note that only a science-based, force-free approach will be discussed herein. Of course, not all training questions can be answered through a forum platform. It may be decided that the best approach would be to set up a session with me. If that is the case, I will let that be known. For a more personal introduction, check out the Welcome Video. By using this site and its information, you declare that you are aware that there are inherent and potential risks, dangers and hazards associated with the Services and that you are a voluntarily participant in the Services. Specifically, you understand that dogs are unpredictable animals and may cause injury or damage to persons or property. You are aware that any dog, regardless of training, handling or environmental circumstances, is capable of biting and causing other personal and property damage, and you expressly acknowledge the risks therein. You acknowledge that attendance and/or participation in the Services may pose risk to you and other people whom you may invite to participate in or observe the Services ("Your Guests") as well as your personal property, and the personal property of Your Guests. In preparation for participating in Services, you acknowledge that you have been fully informed of the attendant risks, dangers, and hazards, and agree to assume all risks related to any such occurrence. Therefore, you hereby waive any and all claims against, and agree to indemnify, defend, and hold harmless Puppy Tutor and its trainers and its staff, from and against all claims or actions that you, your guardians or representatives may have, for any and all personal injury to yourself, your dog, your family members, children in your charge, or any of Your Guests, or harm to property or persons whether caused directly or indirectly, through action or inaction of yourself or others, arising for the performance of the Services. You expressly assume the risk of any such damage or injury during training or while on the training grounds or the surrounding area thereto. 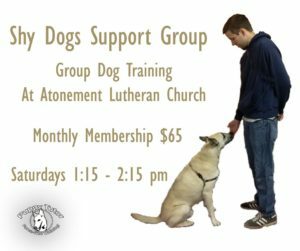 You additionally accept full and sole legal responsibility for your own dog(s), and for any damage your dog(s) may cause to Puppy Tutor, its trainers, other individuals, animals, or property.